One of the first projects BBVA Compass pursued after the bank made its $11 billion commitment to low- to moderate-income communities in late 2014 has come online and put 128 low-income Austin families in green homes zoned to some of the area’s best schools. BBVA Compass, working with nonprofit Foundation Communities, financed more than half of the total cost of Lakeline Station Apartments in Northwest Austin as part of the bank’s $11 billion commitment. The community of one-, two- and three-bedroom apartments offers rents ranging from $378 to $1,120 a month, which is significantly less than what’s found on the city’s booming rental market. Residents pay according to their income levels, with most families at Lakeline earning between $20,000 and $50,000. Foundation Communities sets aside 10 percent of the apartments for families who are formerly homeless or extremely low-income. The people who make Austin Austin — the musicians, artists, health care workers, teachers, service industry workers — are getting priced out of our city. Lakeline Station Apartments marks the third time BBVA Compass and Foundation Communities have come together recently to bring more affordable housing to Austin. Lakeline marks the third time BBVA Compass and Foundation Communities have come together recently to bring more affordable housing to Austin. The bank also helped finance Bluebonnet Studios on South Lamar and Live Oak Trails Apartments in Oak Hill, which both opened in late 2016 and together added 165 units to the city’s affordable-housing stock. The issue is a critical one in Austin, where the growing population and rising property values are creating a shortage of affordable housing. BBVA Compass’ investment in a newly constructed affordable housing project in Fort Worth was held up as a model of public and private cooperation last week during a VIP tour of the facility. BBVA Compass is relying on a variety of vehicles — including $16.3 million in federal Low-Income Housing Tax Credit equity, a $17.2 million construction loan, $5.7 million in permanent debt, $1.2 million from the City of Fort Worth and $700,000 from the City of Fort Worth Housing Finance Corporation — to finance the 140-unit development known as Columbia at Renaissance Square. 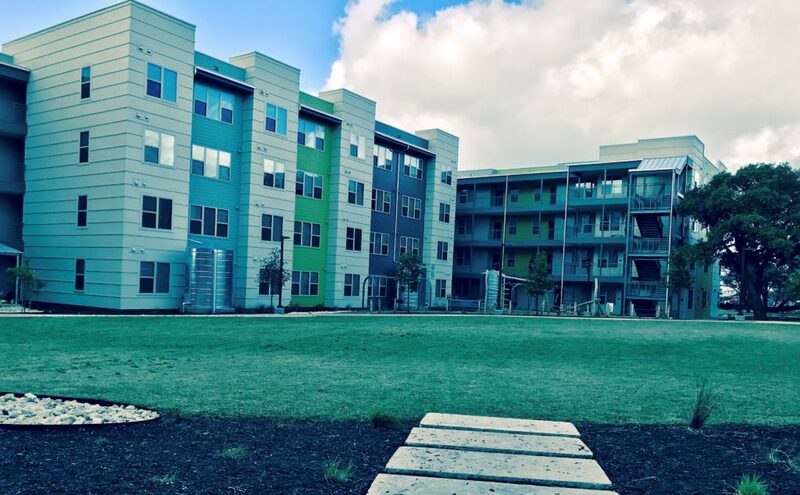 BBVA Compass provided over $20 million of financing for Lakeline, including a $5.5 million permanent loan and $15 million of equity investment through the federal Low-Income Housing Tax Credit program, which gives investors a dollar-for-dollar tax credit for investing in affordable housing. The tax credit was created by Congress in 1986 to encourage private investors to inject cash equity in affordable housing projects, and those investors are held accountable for maintaining the project’s compliance for 15 years. Supporters say the program has brought much-needed oversight and private market discipline, with an end result being that lower-income individuals have better choices for higher-quality housing. Lakeline is emblematic of that with its green building standards and prime location. It is located in the sought-after Round Rock Independent School District. The Learning Center at Lakeline will provide a variety of on-site support services, including after-school and summer learning programs, and fitness, nutrition and money management classes. The Learning Center will also be the first “net zero” commercial building in the city, meaning that it can produce more energy than it consumes thanks to its use of solar power. Lakeline also boasts native plant species and a series of rain cisterns for collecting water for irrigation. 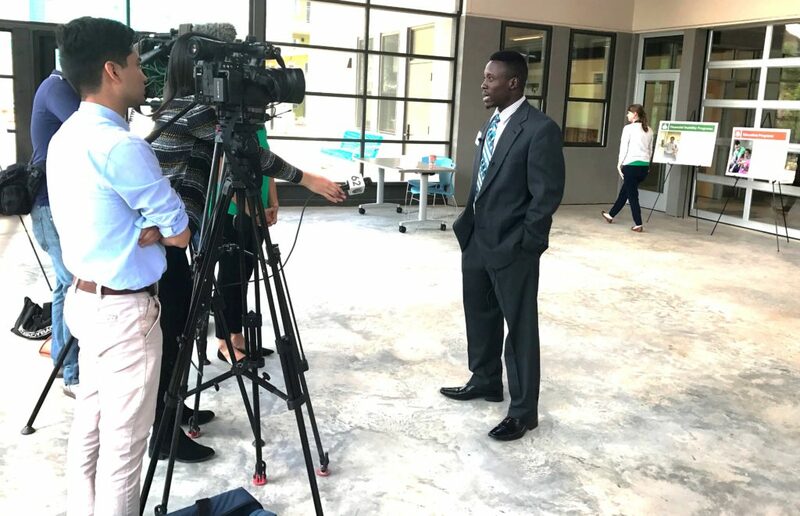 Keith Murphy, a current Lakeline resident, spoke to media about his path to Lakeline. He grew up in the foster-care system and experienced a series of hardships before landing at Lakeline with his wife and three children. Lakeline opened its doors to its first residents in December 2016, and as of mid-April, when Foundation Communities held a grand-opening tour for investors and community partners, it was fully leased with about 40 families already on the waiting list. This is a community anyone would want to live in. It’s a far cry from the days when ‘affordable housing’ meant living on the edges of society and out of reach of better opportunities and brighter futures. BBVA Compass and Opportunity Finance Network are joining forces to cultivate the next generation of leaders for Community Development Financial Institutions, organizations that are critical engines of opportunity in low-income communities. Keith Murphy, a current resident, spoke to attendees about his path to Lakeline. He grew up in the foster-care system and experienced a series of hardships before he met his wife and they embarked on a life together and now have three children. Before landing at Lakeline, the family of five was living with relatives in a two-bedroom apartment and struggling to make ends meet. 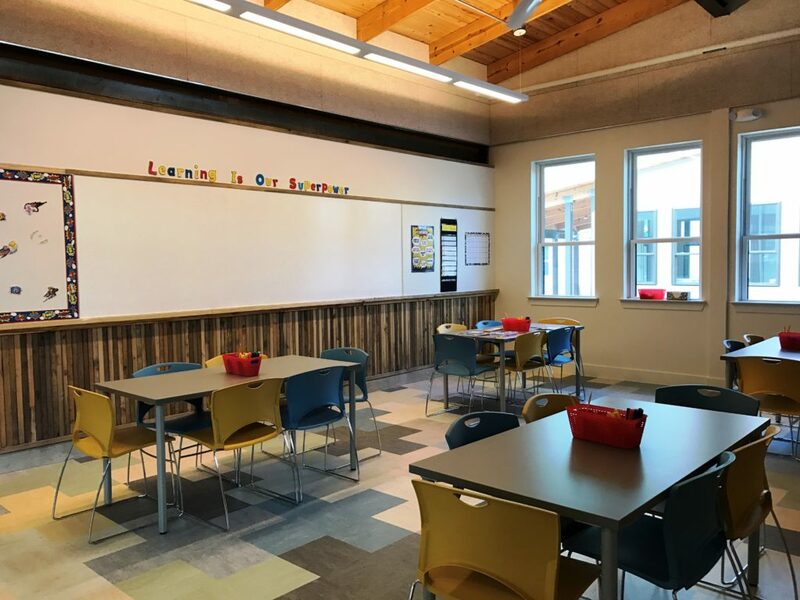 The Learning Center at Lakeline will provide a variety of on-site support services, including after-school and summer learning programs, and fitness, nutrition and money management classes.